Elsa from Frozen’s sexuality is set to be revealed in her next film, with the leading lady potentially having a girlfriend. As Disney, Pixar, Marvel, and many other production companies who create our favourite children’s classics, are slowly catching up to the times in terms of race diversity and mental health issues, it’s about time the topic of sexuality was addressed. Many fans of the 2013 hit film were a huge fan of Elsa’s character as a powerful female role model who didn’t need no man. I love everything people are saying [and] people are thinking about with our film ― that it’s creating dialogue, that Elsa is this wonderful character that speaks to so many people. It means the world to us that we’re part of these conversations. Where we’re going with it, we have tons of conversations about it, and we’re really conscientious about these things. For me … Elsa’s every day telling me where she needs to go, and she’ll continue to tell us. I always write from character-out, and where Elsa is and what Elsa’s doing in her life, she’s telling me every day. We’ll see where we go. The first Frozen film was commended for it’s LGBTQ-friendly stance, and it’s main song ‘Let It Go’ became a coming out anthem. The lyrics of ‘Conceal don’t feel, don’t let them know, Well now they know, Let it go, let it go, Can’t hold it back anymore’ were used to empower LGBTQ people who felt scared or anxious about coming out. 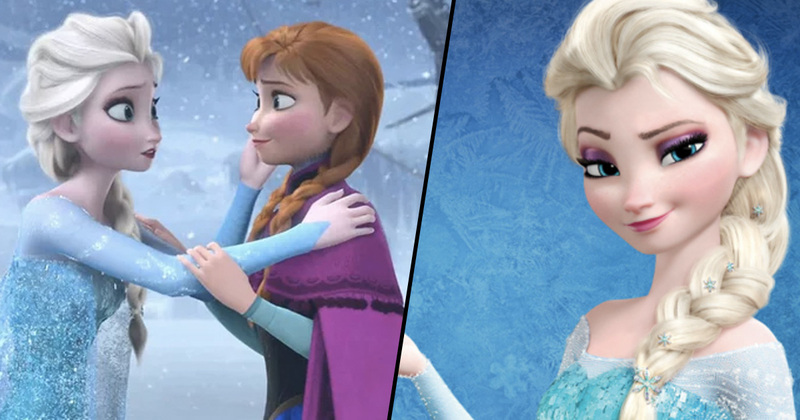 Fans are so hopeful that Elsa is a lesbian, a petition has been created for it and and a campaign for Disney to #GiveElsaAGirlfriend is trending. Pretty much everyone is fairly sure that Queen Elsa of Disney’s “Frozen” is a lesbian woman, and almost everyone (including her voice actress, Idina Menzel) wants this in Frozen and you have supported the LGBT community for years!! Please make this victory for us!!! Such steps as these are massive for promoting equality, and helping kids to avoid prejudice.